I love jeans and a blazer. You can never go wrong. Always a classic. Basic staple pieces! 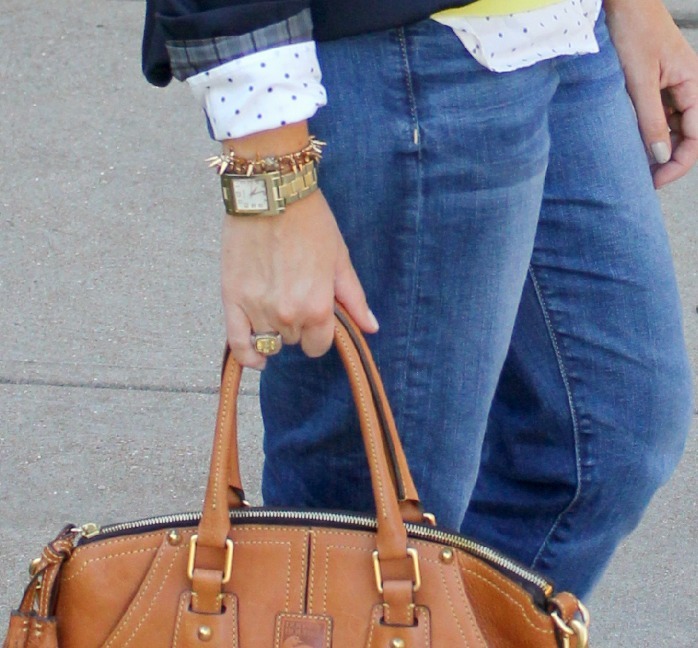 Love a great blazer and jeans! i absolutely adore the bright color mixed with the polka dots! love this outfit! Basics always work in such a great way, love it! I love this preppy, classic look with a twist! All the layering is perfect for fall! Thank you Jen! You are so sweet! 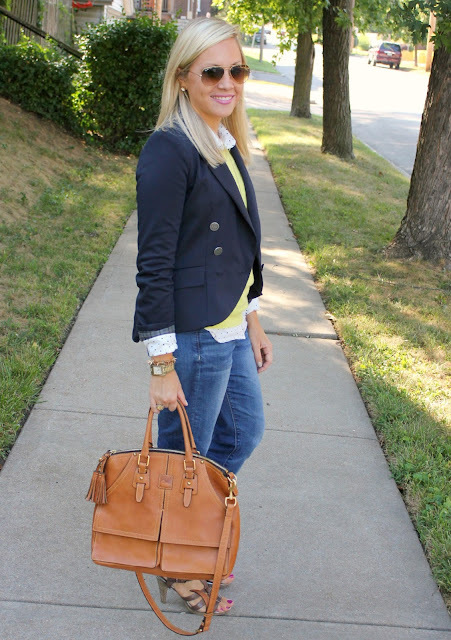 Jeans and a blazer is my go to look for fall. Love it with the neon sweater! Have a great weekend! You can't go wrong with basics. Great outfit. I almost bought this shirt the other day...now I regret not buying it! Love your style! Love this, those jeans are the perfect basic pair! Thanks Carly! My favorite comfy jeans! Nice and loose! 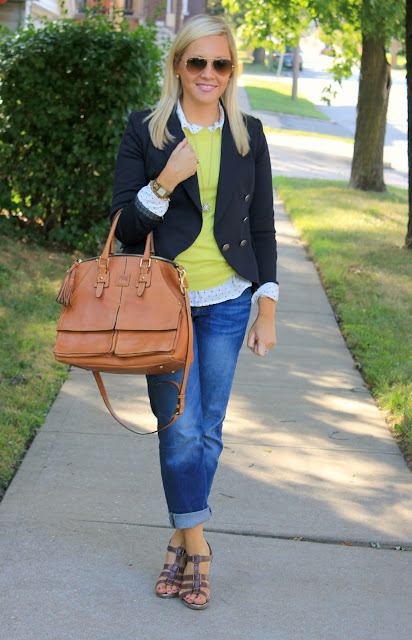 The blazer is perfect...and it looks great over the bright top! Thanks Elle! Excited about our linkup this week!